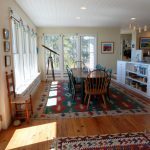 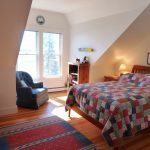 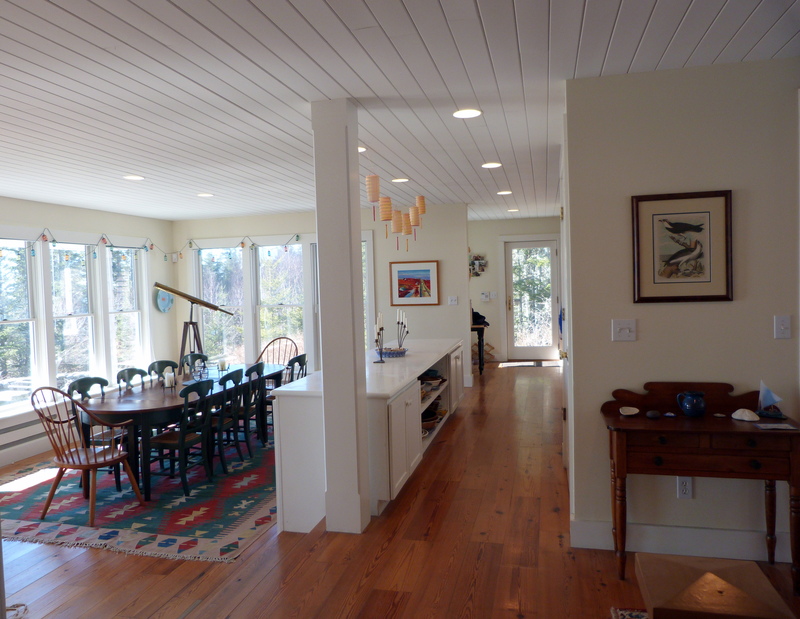 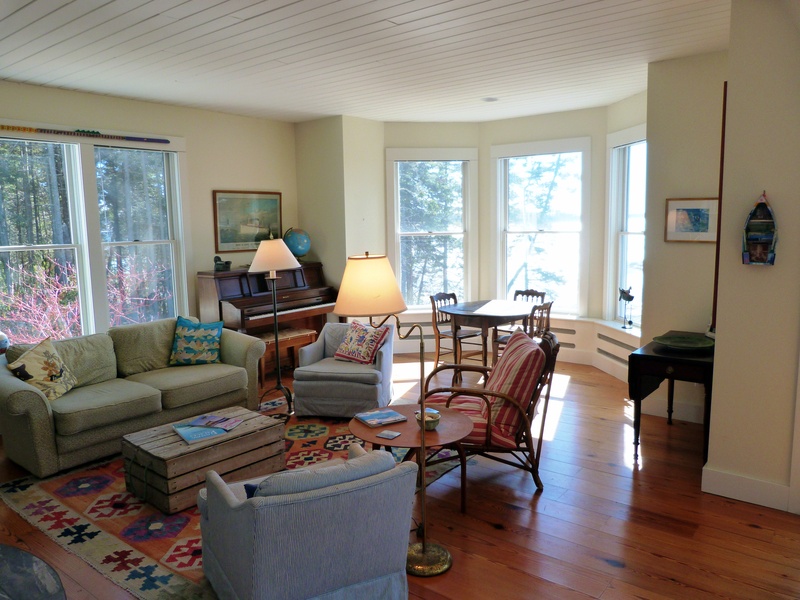 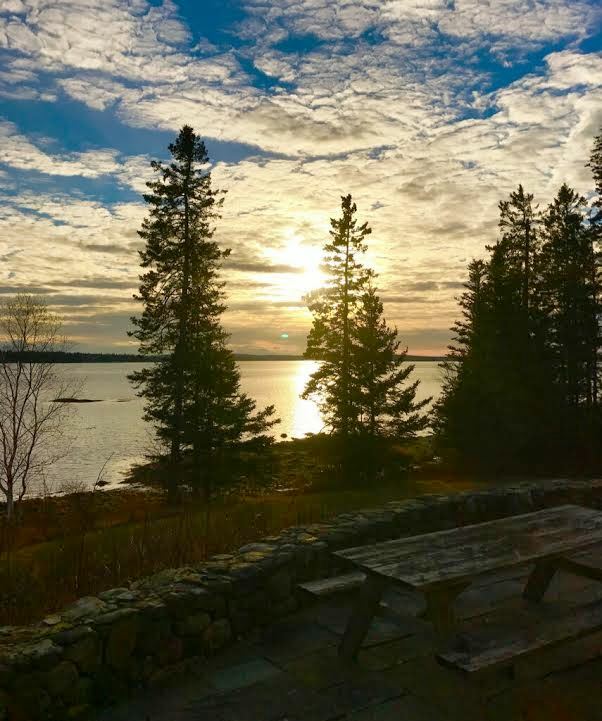 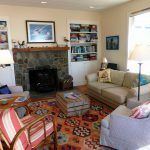 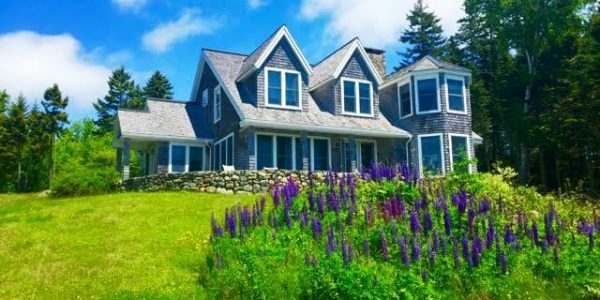 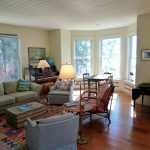 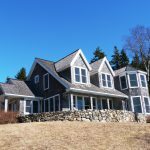 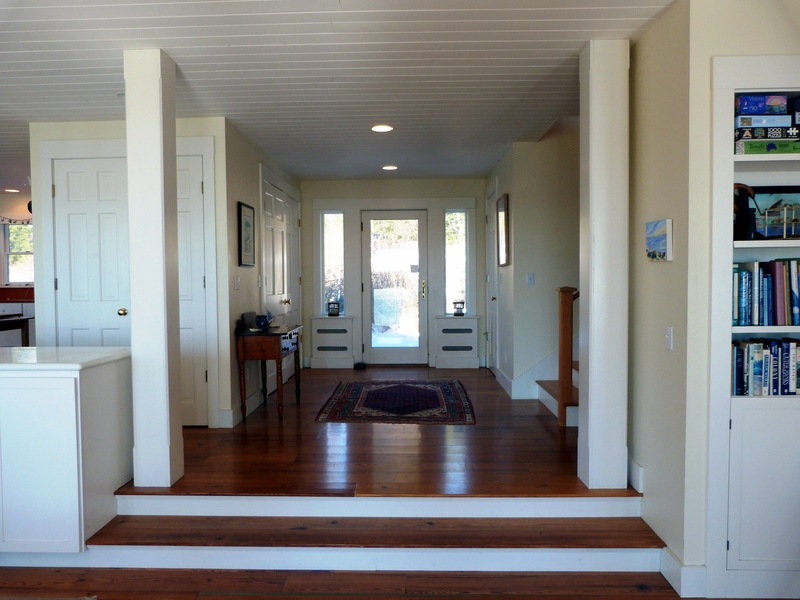 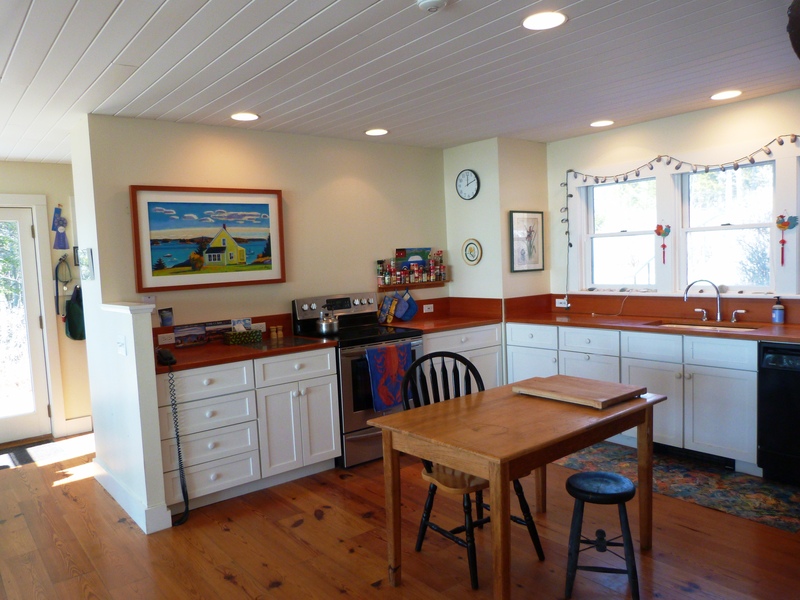 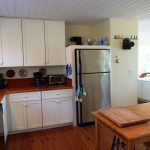 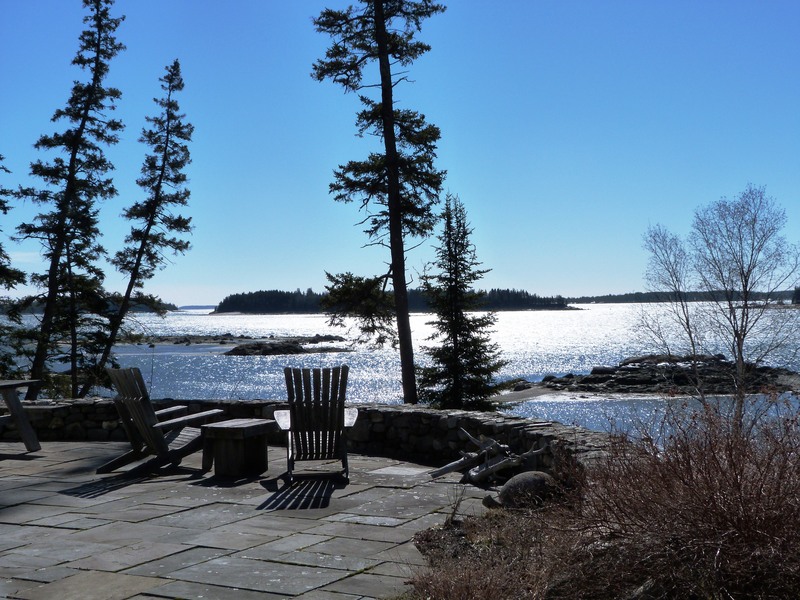 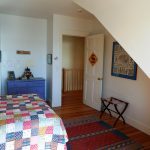 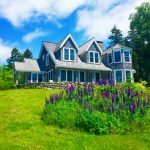 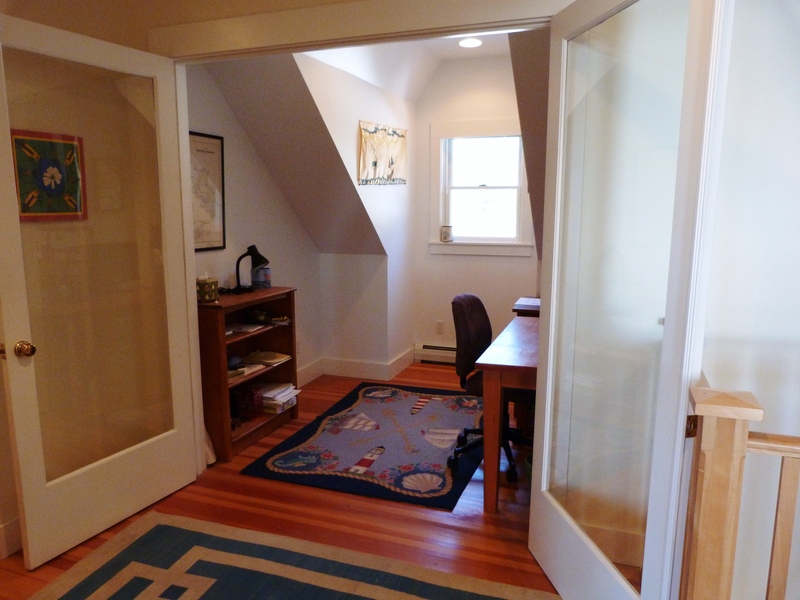 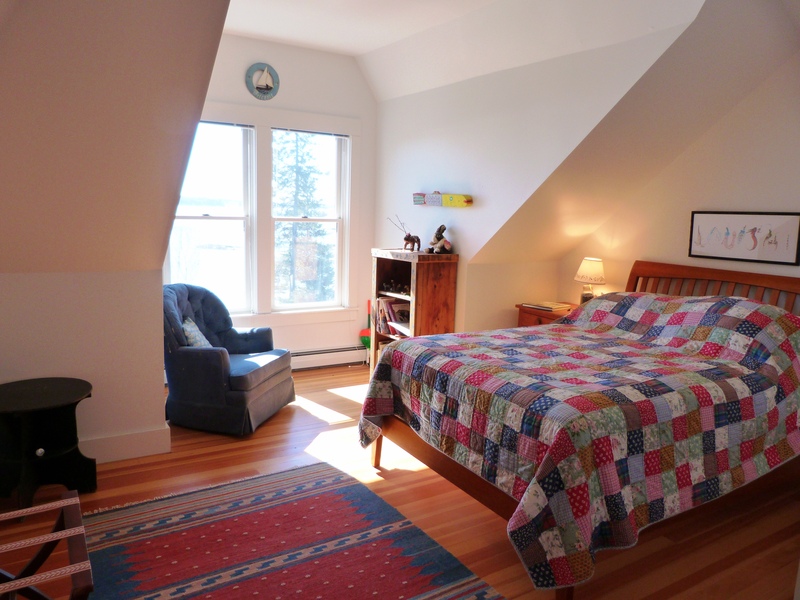 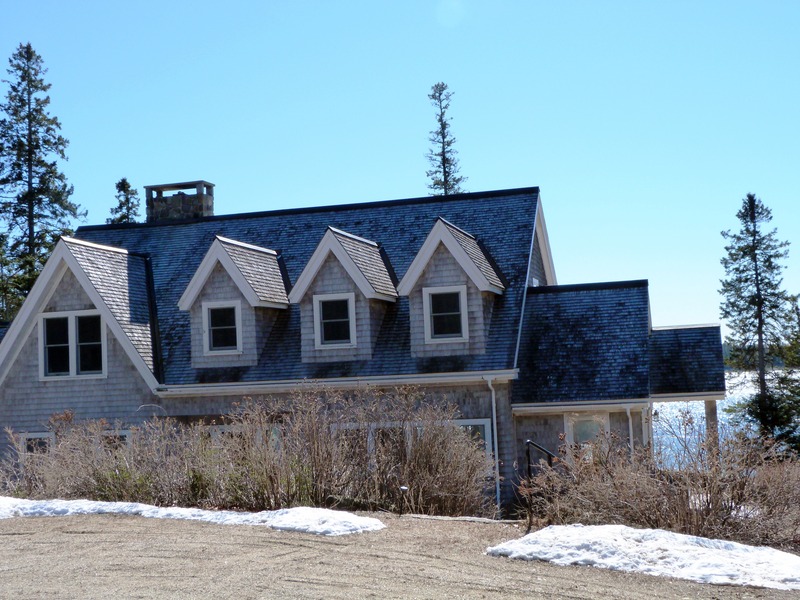 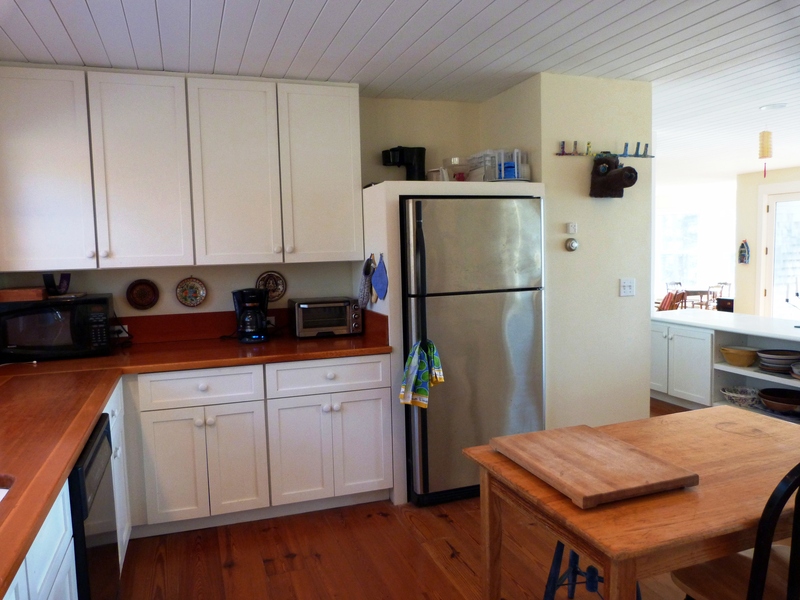 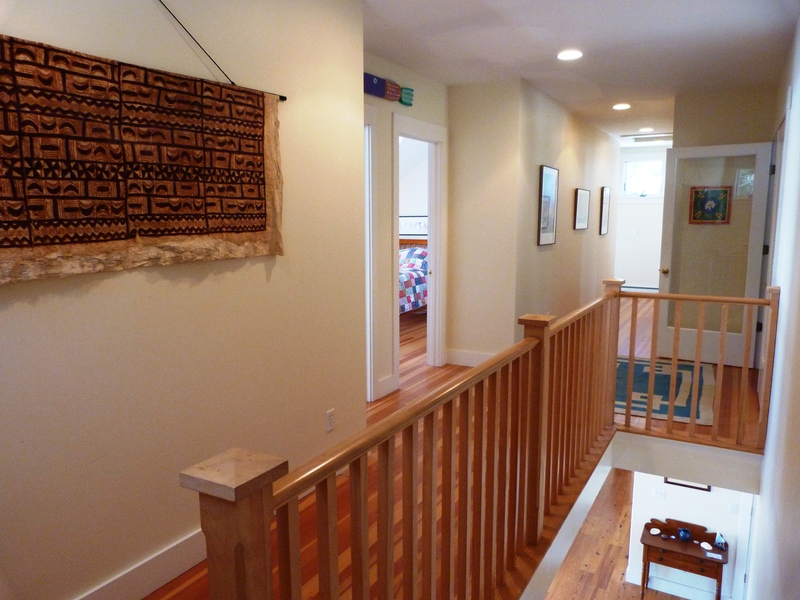 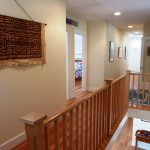 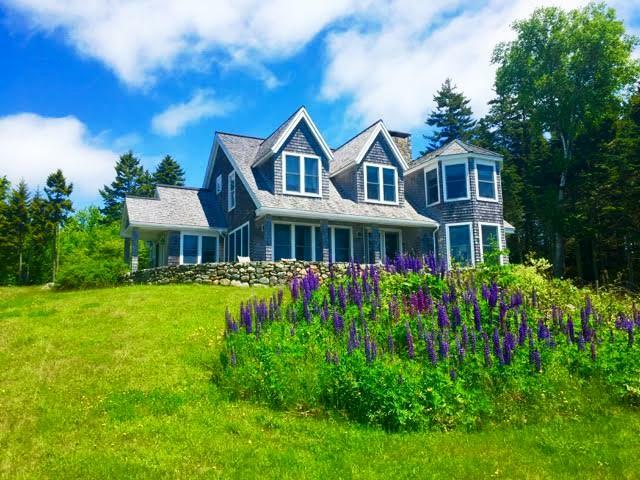 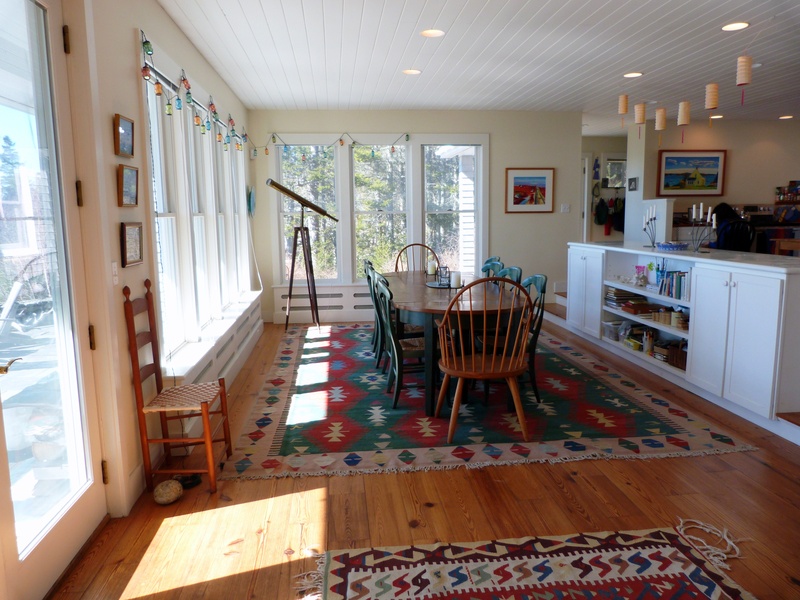 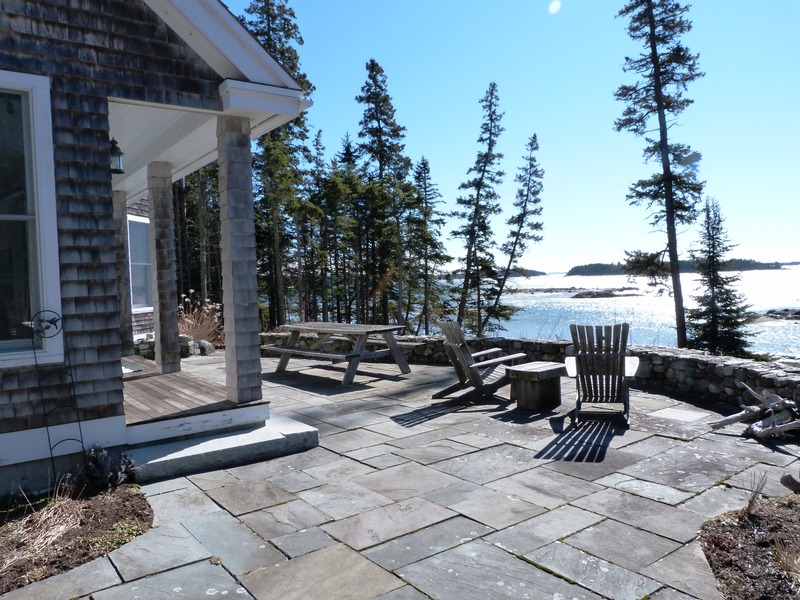 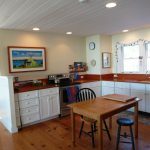 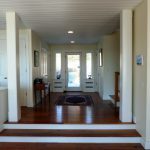 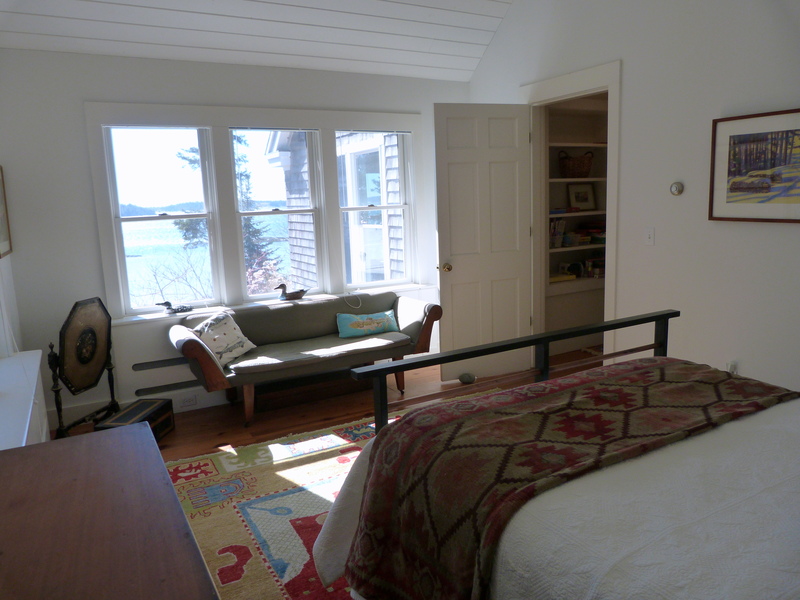 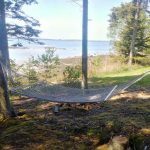 The Cove | Maine Vacation Rentals, Inc.
“The Cove” is an airy, light-filled, South-facing house overlooking islands and passing boats on Eggemoggin Reach. It is one of four houses off a private, dirt lane, and has a long driveway. 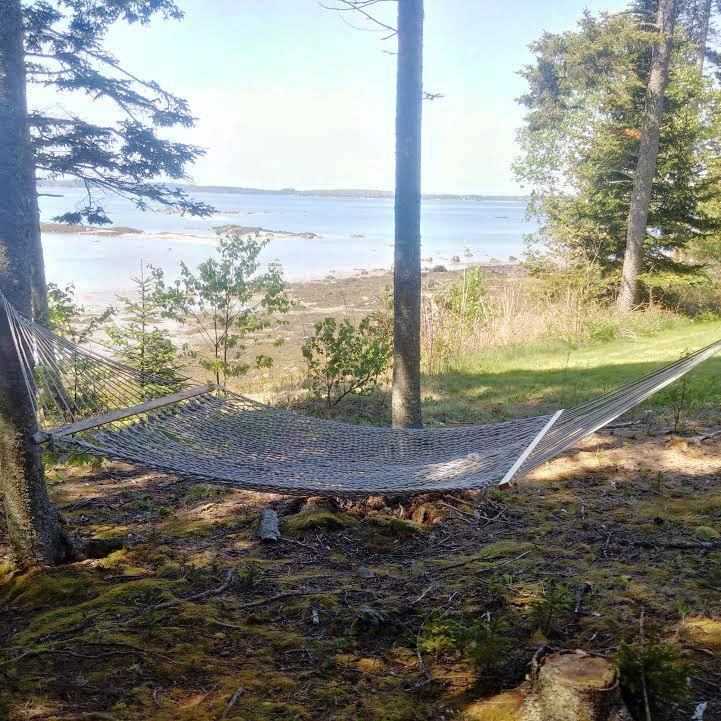 Except for the oceanside lawn, the property is wooded; it is very secluded from the neighbors. 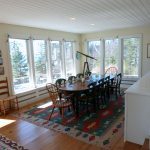 The house is ideal for family vacations. 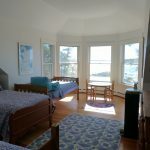 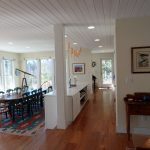 The first floor has an open floor plan, with a large, well-appointed modern kitchen and large living and dining areas surrounded by windows looking out to the ocean. 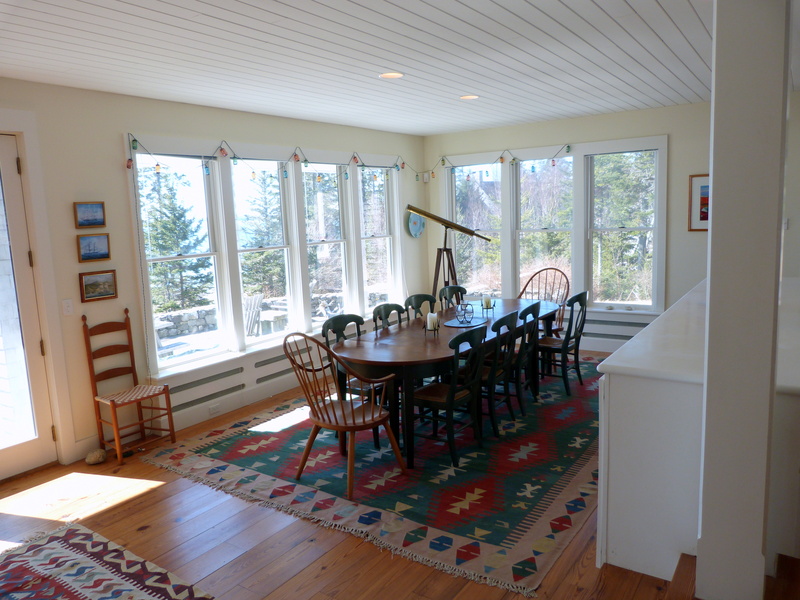 A table dedicated to picture puzzles and card games sits in a bay window where passersby won’t disturb the participants (or the puzzle). 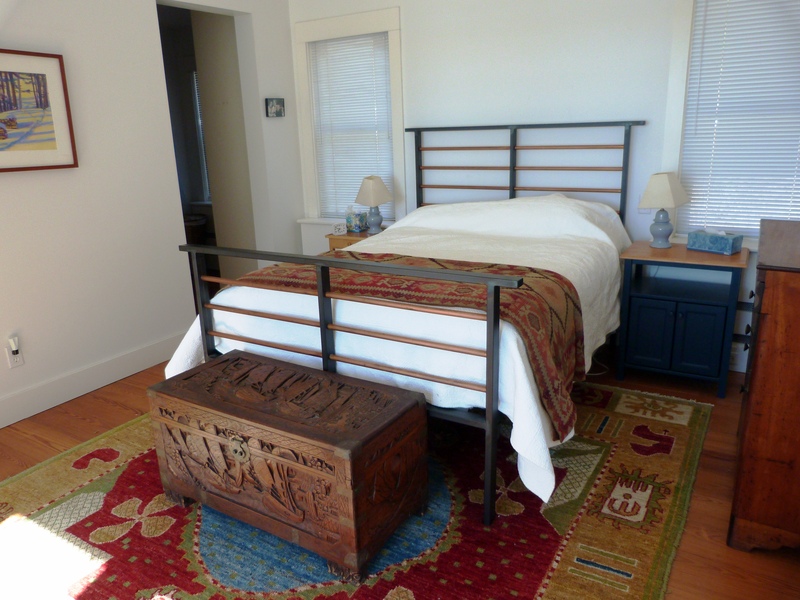 There is a piano for afternoon relaxation or evening sing-alongs. 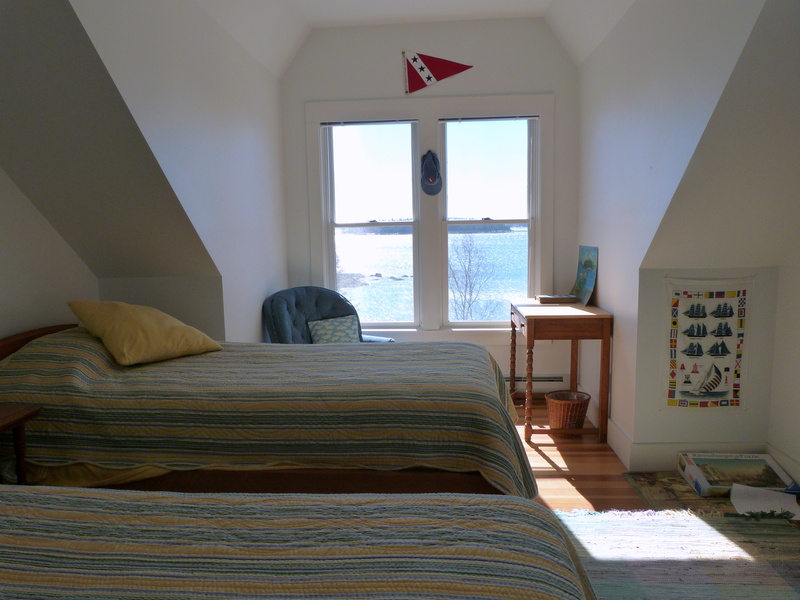 The bookshelves have dozens of Maine and sailing-oriented books, as well as adventure stories, for quiet afternoons and evenings. 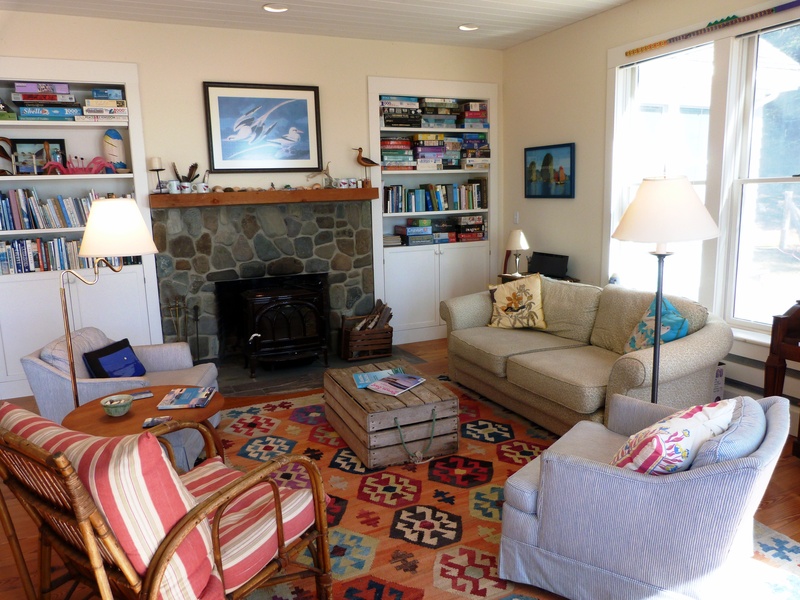 There is an easy-to-use woodstove in the living area. 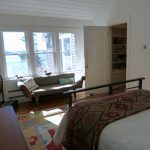 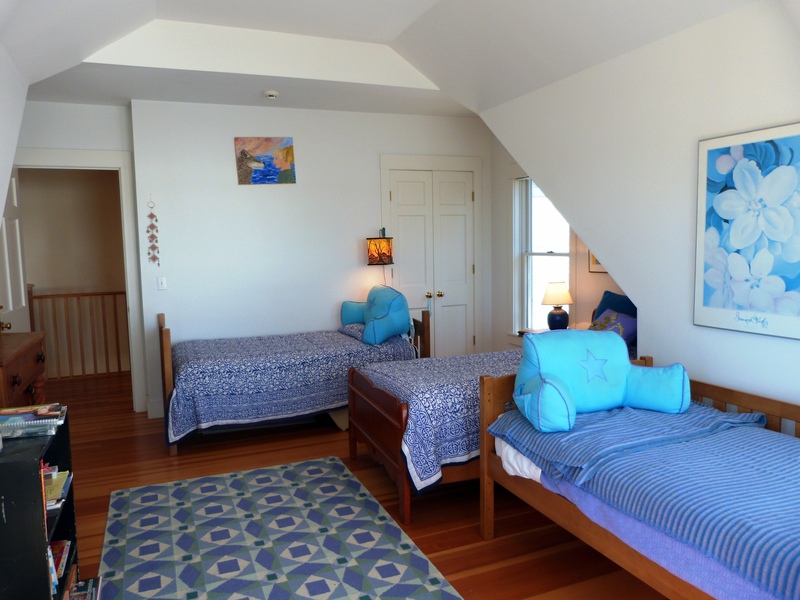 On the first floor is a comfortable master bedroom suite overlooking the ocean, with full bath and dressing area. 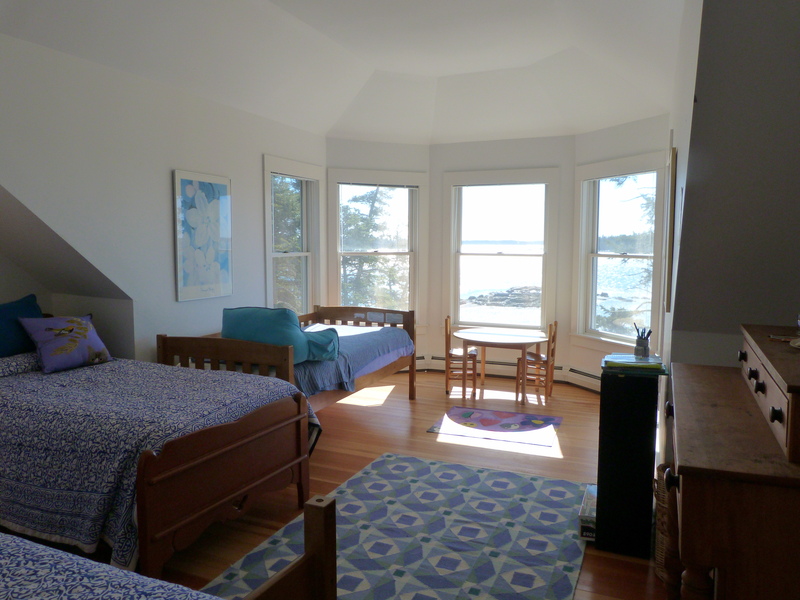 On the second floor, there are three bedrooms, all of which have spectacular views over the water, and a full bathroom. 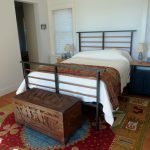 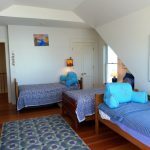 One of the bedrooms is very large, with three beds and a play area where children can entertain themselves while the adults are enjoying quiet time downstairs. 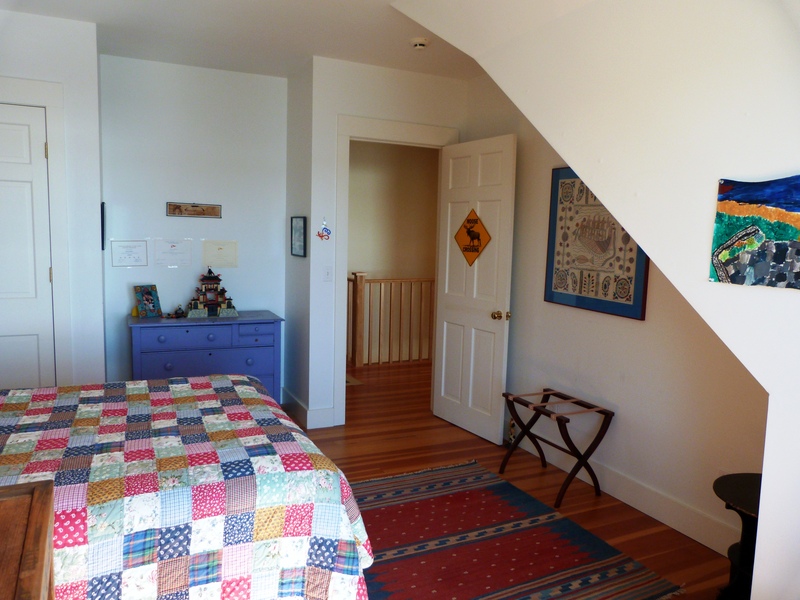 There is a second floor laundry room with washer, dryer, and an ironing board. 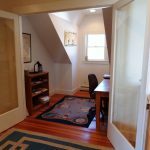 There is also a small office with internet connection and printer, as well as WiFi throughout the house and patio. 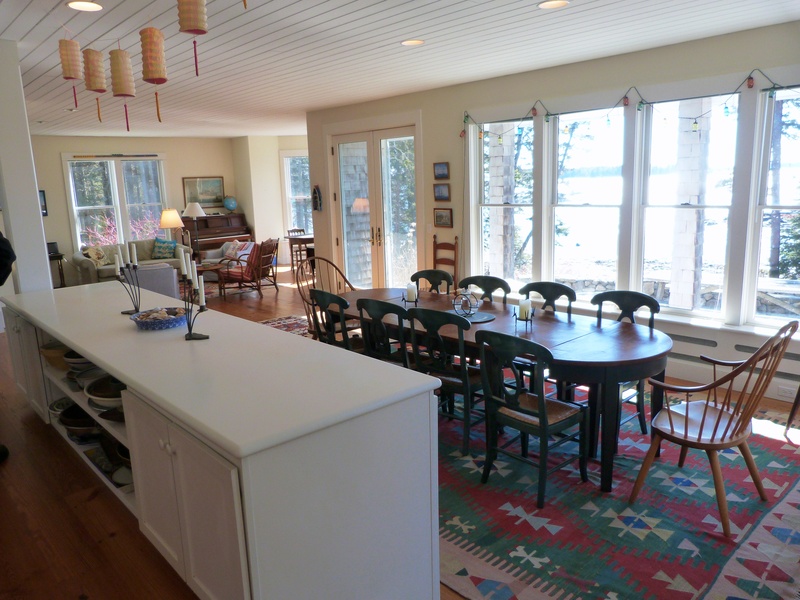 The basement has a ping pong table and a foosball table. 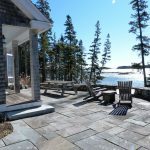 The large bluestone patio boasts spectacular views over Great Cove and Eggemoggin Reach. 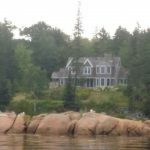 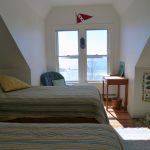 The house is just up the shoreline from the WoodenBoat School, so many visiting schooners and other yachts pass by all summer, as well as smaller sailboats and lobster boats. 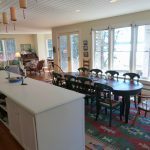 The patio has a picnic table and chairs, as well as a propane grill and fire pit (perfect for making Smores with the kids). 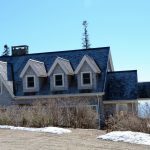 An osprey family nesting at the edge of the lawn provides entertainment, as do many other ospreys, eagles, eider ducks, and other birds. 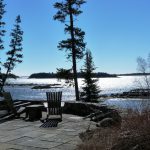 On clear nights, the absence of any light pollution means that the sky is blanketed with stars. 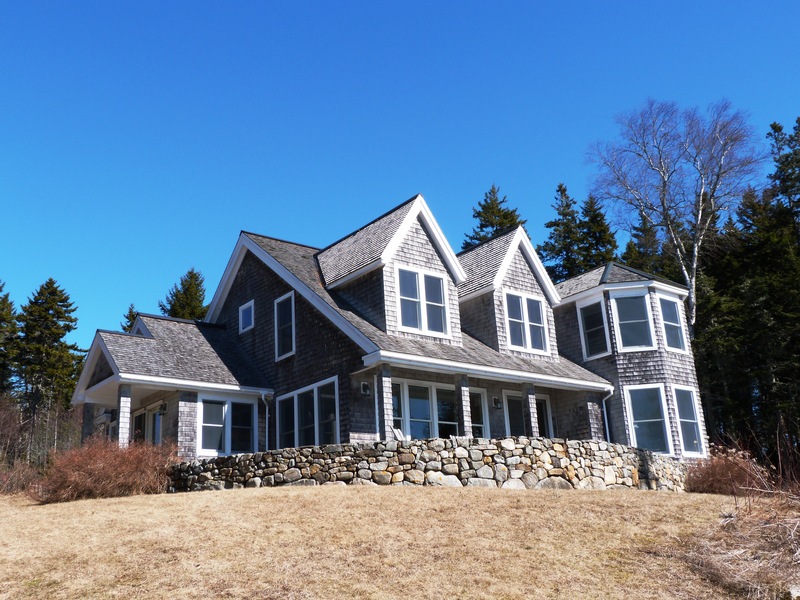 The lawn has plenty of room for croquet, soccer, badminton, and other games. There are two sets of steps down to the beautiful, rocky shore, along which one can take long walks. 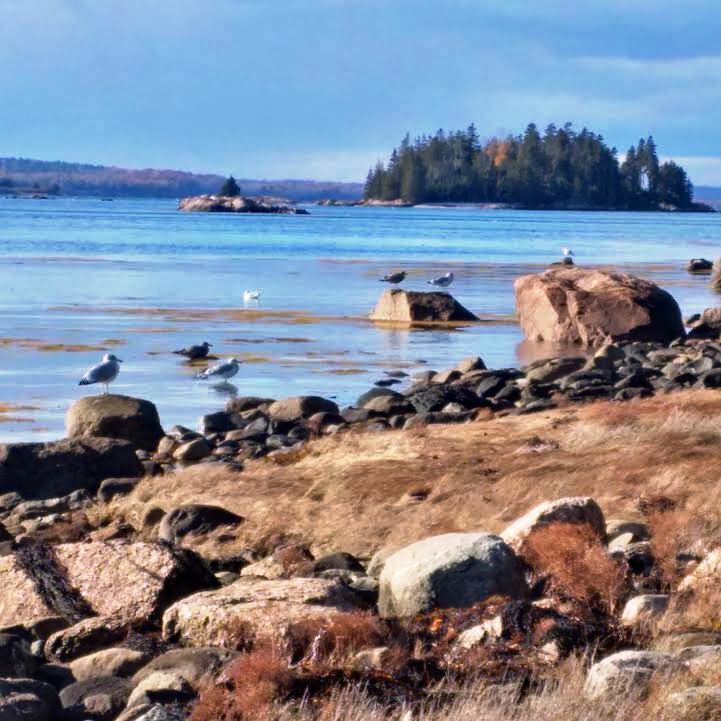 Swimming is enjoyable at high tide, and mussels and clams may be taken at low tide. 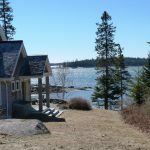 One can kayak from the house along the shore to the WoodenBoat School or to Center Harbor in Brooklin, as well as to nearby islands. 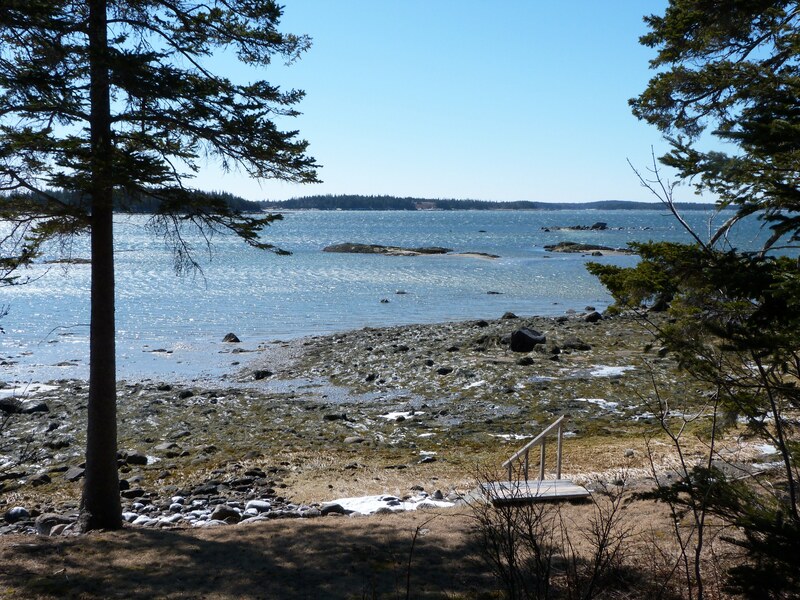 The sandbar at Naskeag Harbor just up the road provides an excellent, public, swimming and kayak launching place with access to a number of other islands farther away. 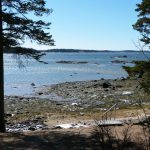 Several of the islands are protected and afford fun picnicking and exploring. 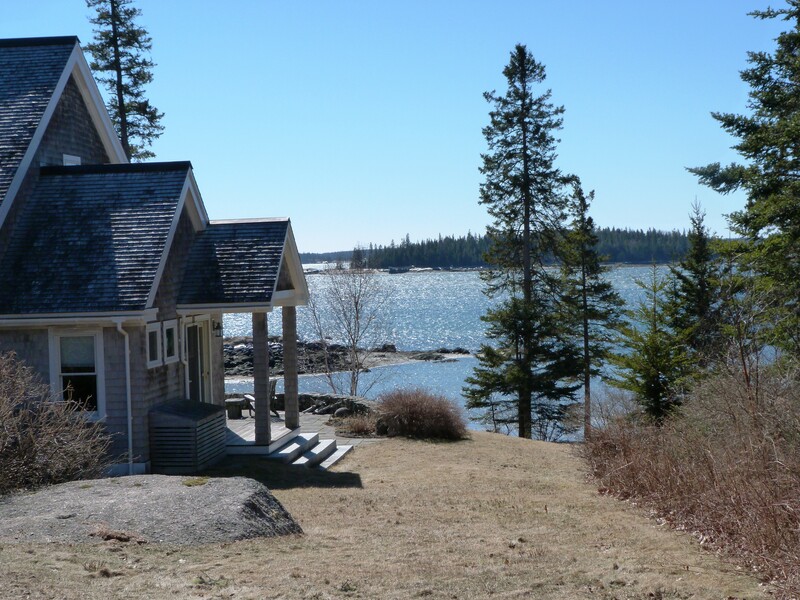 Nearby Harriman Point is a protected area with comfortable wooded and shoreline walking trails. 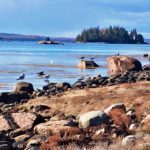 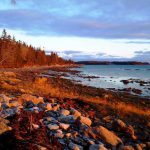 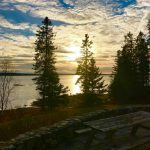 For expeditions, Acadia National Park / Bar Harbor is 75 minutes’ drive to the East, while Deer Isle’s Stonington (from which one can take the ferry to Isle au Haut), Castine, and Cape Rosier are each 45 minutes’ drive to the West.